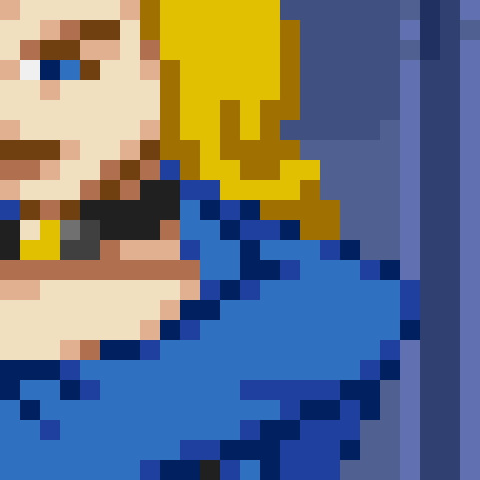 Most of these sprites were originally for a side-project I've been making in slow motion for nearly a decade, but the background was made just for this group shot. The computer's design is mostly based on the one seen in the Superfriends cartoon. 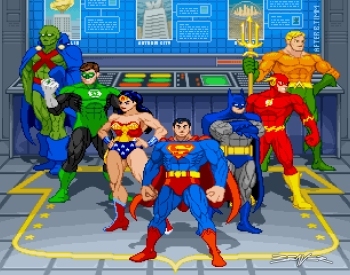 Many of the poses are based on a group shot Bruce Timm made for the 2001 Justice League cartoon, including some sprites that aren't shown here yet. 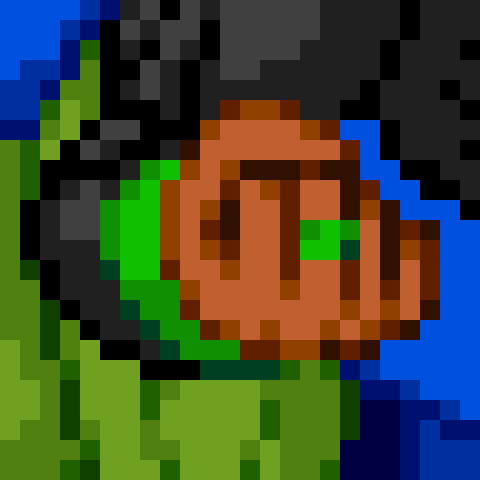 The main picture I have on display features the original seven Justice League members from the comics, but you'll eventually see alternate versions of this in future updates.